The last summer for Royal Park? See his photos on the website http://www.thelastsummer.org/ (Click on the headings “Colour” and “Black and White” then on numbers to get access to the photo galleries.) David said that he will add new photographs to this website regularly during 2014. “"Your photographs do Royal Park proud. It is a very fine exhibition and beautifully presents the calm of this city haven which is about to be shattered by a storm of tunnel cement and re-directed traffic." David Tatnall’s ‘The Last Summer’ exhibition will be shown at “fortyfivedownstairs” gallery in Melbourne from 11 to 22 March 2014. The Last Summer project is a series of large format photographs made in the summer of 2013 – 2014 of Melbourne’s Royal Park. 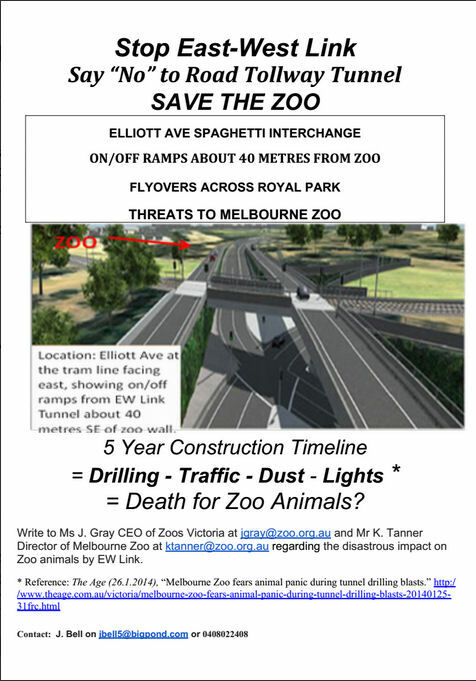 Threatened by the massive East – West road project, this could be the last summer for Royal Park. New photographs will be added to this website regularly during the final month of summer and into autumn 2014. Exhibition of photographs at fortyfivedownstairs gallery 11 – 22 March 2014, 45 Flinders Lane (near Exhibition St. OPENING IS MARCH 11th 5pm-7pm with launch at 6.00pm. Please come! Sponsored by Protectors of Public Lands Victoria Inc.
Last night I attended the opening of "Last Summer for Royal Park" photographic exhibition by photographer David Tatnall at "45 Downstairs" Gallery (45 Flinders Lane Melbourne). The photographs of different aspects of Royal Park are superb, some in black and white and others in colour. All photographs can be purchased either framed unframed and proceeds will help run the case to stop the EW link through the park. Mr. Tatnall's photographs bring together the variety of beautiful parts of this wonderful bushy expanse so close to the city. Tomorrow afternoon (Tuesday April 8th) a submission to the East West Link Assessment Public Hearing will be presented by Mr Tom Pikusa on behalf of Royal Park Protection Group and Protectors of Public Lands. It is important that as many as possible attend in support of his presentation of arguments to stop the EW link and save the Royal Park. The presentation is scheduled for 4pm but you would need to be there before 3.45pm.